In the foundation classes participants will achieve proficiency in the CrossFit foundational movements. These classes are less intense so as to offer the best opportunity for participants to retain the instruction. Foundation classes are required for new members and can also be helpful for members who may need a technique tune-up. We offer private and semi-private foundation classes to learn the below foundation moves for better retention and to accommodate busy schedules. This could take as little as 2 – 3 sessions or more depending on your fitness level when starting. During the Foundation classes we are going to want to know a little more about you. We will be conducting assessments in order to understand you, your personal goals and current health concerns. Once we have an understanding of your needs, we can help you achieve your goals. Gymnastics: pull-up, push-ups, burpees, dips,Handstands, wall walks etc..
Other common movements: thrusters, wall ball, kettlebell swings, rowing, box jumps,rope,jump roping. Remember, all these moves can and will be modified to fit your personal goals and fitness level at the time. Best thing about these classes is everyone regardless of there fitness level can work out together and get their needs met! In the foundation class you will learn how to safely perform these common movements as well as receive an overview of our training principles. These WODs are written by Carolyn Collins, National Strength and Conditioning Coach, Carolyn uses a true hybrid of training techniques and disciplines to completely balance out your workouts. Making sure SAQ drills, frontal, transverse plains are incorporated as well as using periodization concepts. Writing programs that include Conditioning, Hypertrophy, Strength and Power and lots of assessory moves makes for a completely well rounded program. Warmups will always be specific to the workout that day. These WODs will also include Benchmark wods, 1 rm’s and many other techniques to help gauge your progress. You will be given a book to track your wods and weights. Families who workout together stay together! This class is a huge hit, kids love working out with their parents and the response from parents is “Let’s do it again”! This class is where kids bring their parents to WOD with them and show off their skills! This class can be used for a makeup session, if for some reason the parents can’t make it please let us know and drop your little one off! Make your groups up, book out a time and share the expense! It’s very affordable fitness taught by Strength and Conditioning coaches. Same great crossfit workouts, constantly varied, high intensity, functional movements using all 10 components of fitness. Doing isolation exercises like a bicep curl or sitting down doing a leg curl machine stimulates nothing and is a colossal waste of time. Workouts change daily so the body never plateaus! Too much aerobic activities have a decrease in muscle mass, strength, speed, power and decreases anaerobic capacity. Anaerobic activities are superior for fat loss, increasing lean muscle mass, strength, speed, power and aerobic capacity. Aerobic based exercises are great for the heart and lungs and extra calorie burning, however not effective for fat loss and will decrease strength, speed, power and muscle wasting. If you are only doing aerobic based activities for fat loss you are missing the boat. Everything is scaled down for beginners, check out the website under the WOD blog and look for the green writing! Learn proper technique, muscle recruitment, injury prevention and how to use your pelvic floor. This class was named WOW / CROSSFIT-STYLE because when you’re done that’s exactly what you’ll say! Having previous weight training experience is necessary, or take a few private sessions to learn the foundation moves and proper exercise execution and technique before joining any class. CFSS Kids is a strength and conditioning program designed for 7-11 years old athletes and non-athletes alike. The program combines age-appropriate weightlifting, only body weight at this stage, gymnastics and high energy games which delivers optimal fitness and performance, as well as establishes a lifetime love of fitness. 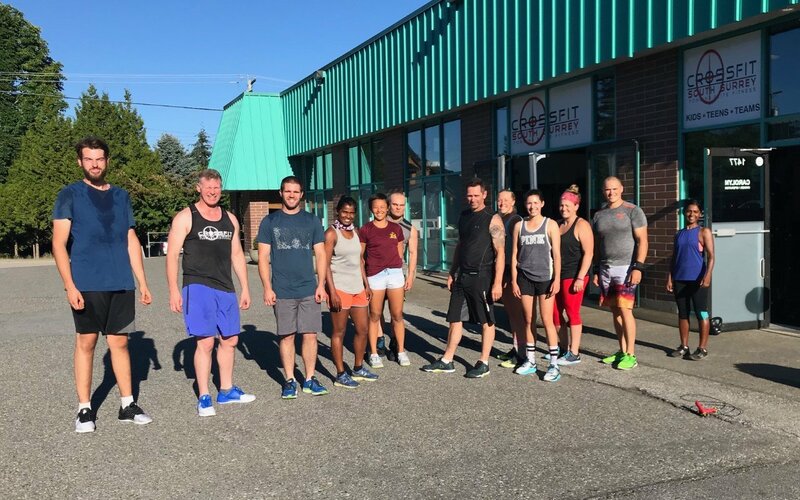 Proper skills and techniques are taught, under the watchful eye of our Certified Crossfit Kids coaches, who also hold certification in personal training and sport conditioning. We aim to enhance strength and power, while also focusing on basic gymnastics to increase agility, mobility and flexibility. In addition, we aim to boost self-esteem and confidence within our kids and teach sportsmanship. We want to give them the strength, both physically and mentally, to tackle any obstacle thrown their way inside or out of the gym. With workouts that are scalable for all individuals, CFSS CrossFit Kids can equally benefit both the athlete as well as the less active individual. If your kiddo is already in sports, our program is designed to take them to the next level by teaching proper mechanics, recovery, movement, nutrition, and flexibility. CFSS kids is ideal for any young athlete looking to get the edge over the competition in their chosen sport. Most kids athletic programs focus on one specific sport. These programs tend to not develop strengths disassociated with their sports. We instead aim to create an all-around athlete that will excel at any sport or physical task thrown their way. If your Kiddo is not an athlete, our program is guaranteed to help them establish healthy lifestyle habits, and convert them from a sedentary lifestyle to a more active, prolific one. Our primary goals are to convey the notion that fitness can be fun, and help these kids develop a positive self-image. kids and teens today are faced with so many pressures and unnecessary stress. We are committed to helping them understand the importance of a healthy lifestyle through diet and exercise. We want the Kids in our program to develop a positive body image, improve cognitive function, protect them against injury by teaching proper body mechanics, and create a community of like-minded, confident individuals that can turn to one another for support. Crossfit not only teaches one how to work out, it teaches one the essence of focus, perseverance, dedication, and motivation. Our Kids program makes kids healthy and fit. It not only builds strength in the body but it also strengthens the mind. CFSS Teens and tweens program is a strength and conditioning program designed for 12-16 years old athletes and non-athletes alike. The program combines age-appropriate weightlifting and gymnastics with high intensity training to deliver optimal fitness and performance, as well as establish a lifetime love of fitness. Proper weightlifting techniques are taught, under the watchful eye of our Crossfit certified trainers and conditioning coaches, to enhance strength and power, while also focusing on basic gymnastics to increase agility, mobility and flexibility. In addition, we aim to boost self-esteem and confidence within our teens and tweens. We want to give them the strength, both physically and mentally, to tackle any obstacle thrown their way inside or out of the gym. With workouts that are scalable for all individuals, CFSS CrossFit Teens and tweens can equally benefit, both the accomplished athlete as well as the less active individual. If your teenager is already an athlete, our program is designed to take them to the next level by teaching proper mechanics, recovery, movement, nutrition and flexibility. CFSS Teens and Tweens is ideal for any young athlete looking to get the edge over the competition in their chosen sport. Most teen and tween athletic programs focus on one specific sport. This can lead to overuse injuries. Plus athletes who do not participate in a diverse program tend not to develop strengths disassociated with their sports. We instead aim to create an all-around athlete that will excel at any sport or physical task thrown their way. If your teen or tween is not an athlete, our program is guaranteed to help them establish healthy lifestyle habits, and convert them from a sedentary lifestyle to a more active, prolific one. Our primary goals are to convey the notion that fitness can be fun, and help these teens and tweens develop a positive self-image. Our Youth are faced with so many pressures and unnecessary stress these days. We are committed to helping them understand the importance of a healthy lifestyle through diet and exercise. We want the teens and tweens in our program to develop a positive body image, improve cognitive function, protect them against injury by teaching proper body mechanics, and create a community of like-minded, confident individuals that can turn to one another for support. Crossfit not only teaches one how to work out, it teaches one the essence of focus, perseverance, dedication, and motivation. Our teen and tween program makes kids healthy and fit. It not only builds strength in the body but it also strengthens the mind. Whether your teen is looking for a stand-alone strength and conditioning program, or additional training to supplement their sport specific training, SFSS Teens and tweens is committed to helping them achieve their goals in a fun, judgment free environment surrounded by their peers. CrossFit Lifting Classes were taught by the one and only Christine Girard, GOLD MEDAL Olympian IN THE 2012 and BRONZE MEDAL Olympian IN THE 2008 Olympics. Christine Girard has relocated to Ontario but has ingrained her teaching skill into all the coaches for the last 5 years. We have learned to lift from a world class athlete. Learn proper technique, form and lifting progressions. Crossfit is known for it’s Olympic lifts and at CFSS we ensure it is taught properly by a professional. Google Christine to view her many accolades, it’s like ART meets lifting. 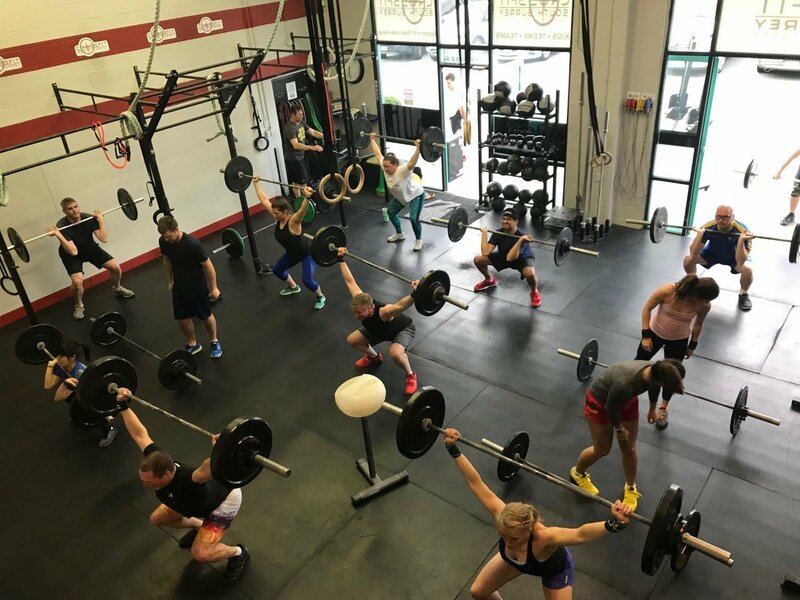 These classes are part of your membership – and YES… You can just drop in if you have lifting experience by coaches trained by Christine Girard.